You wait forever for it to arrive but your wedding day is over so fast. A really lovely way to recall some of the highlights and the people who attended is with this beautifully presented wedding guest book. Leave it at the entrance to the celebration with a little notice to ask guests to sign it and make a comment, if they please. Afterwards when you’re both reviewing the photos and the videos, you can pick up the book and laugh at all the humorous comments as well as the heartfelt ones. Just ensure that it’s not passed around the tables during the event, as you’d like to keep it pristine to share with those closest to you. 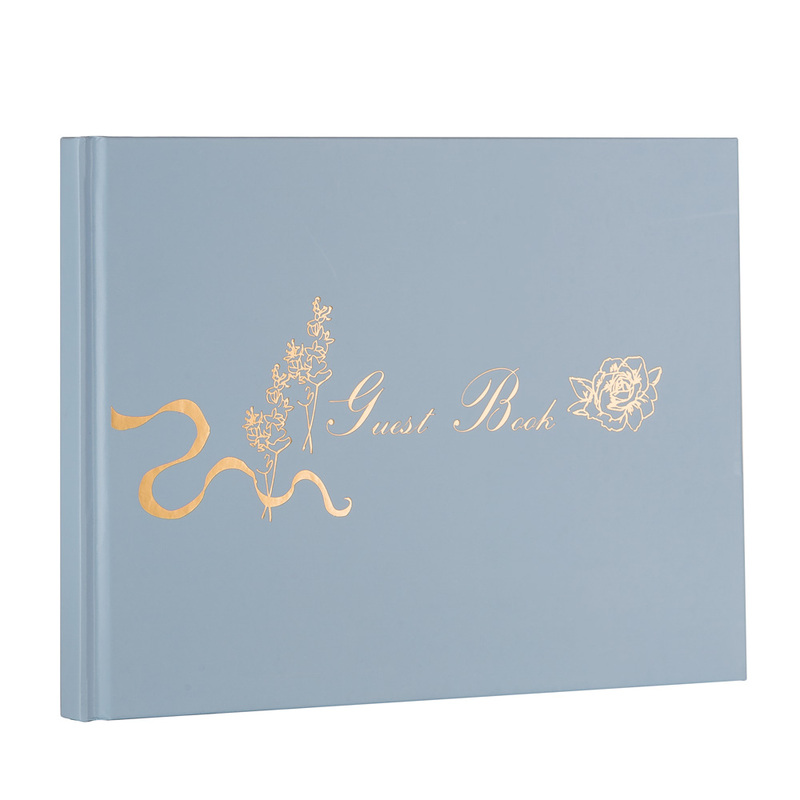 Pale blue cover embossed with gold. Room for the names, comment and the date. Perfect to take along to all the other events around the wedding as well. Dimensions: 25cm (l) x 18.6cm (h) x 1.5cm (w).